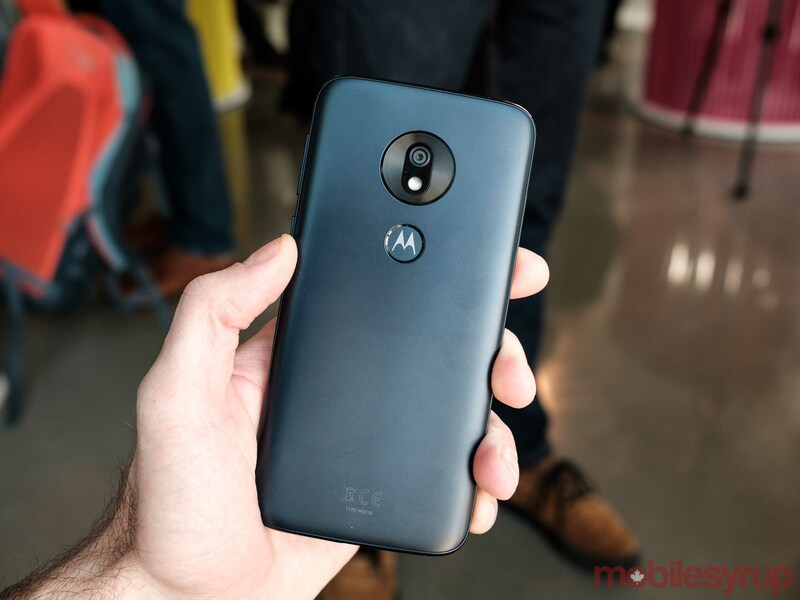 Last year, Motorola earned a lot of accolades with the G6 family by launching a series of smartphones that delivered incredible consumer value. 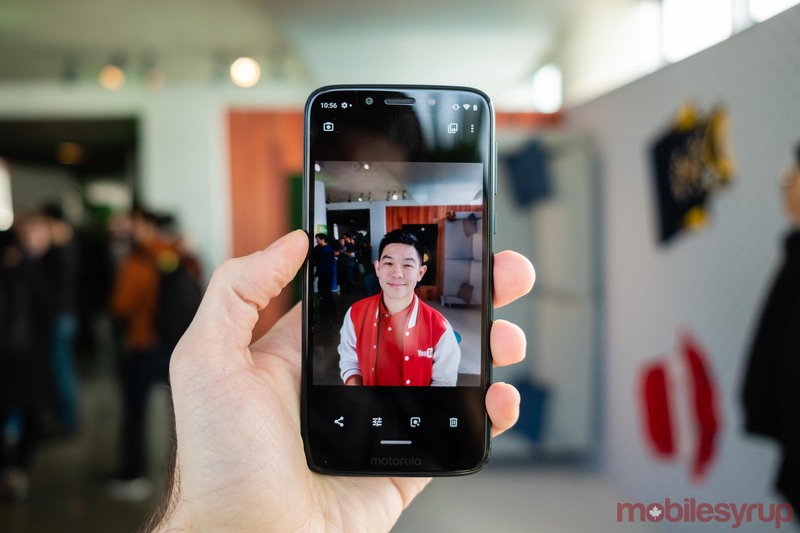 Based on what I saw on Wednesday after MobileSyrup got to go hands-on with the company’s new G7 series of smartphones, Motorola is poised to do the same in 2019. 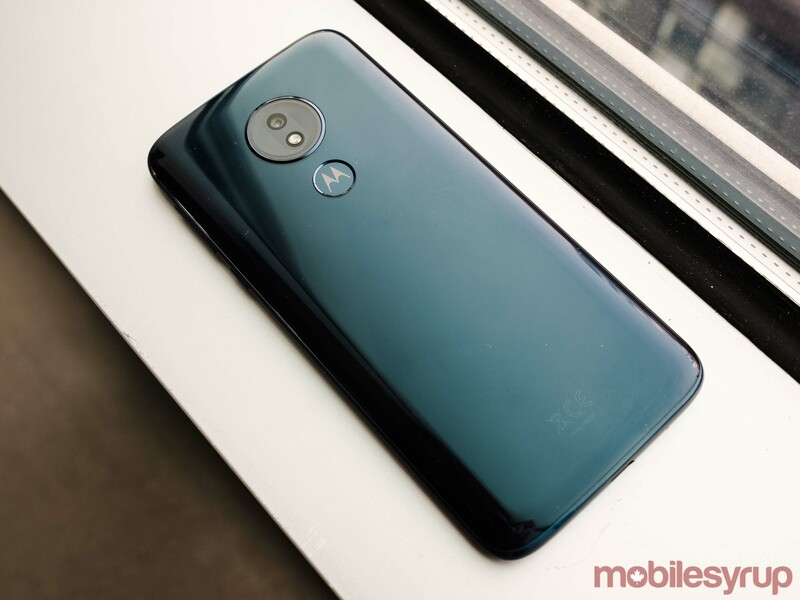 This year, in North America Motorola’s G-series includes three devices: the entry-level G7 Play, the new G7 Power with 5,000mAh battery and the top-of-the-line G7. 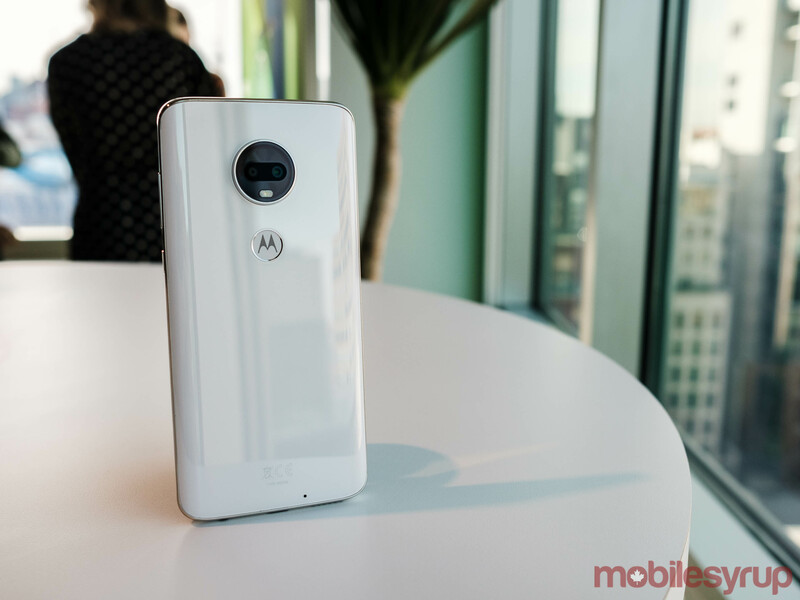 In Brazil and Mexico, Motorola is also offering the G7 Plus, which features slightly bumped specs, but as that device likely isn’t coming to Canada, we didn’t get a chance to see it. In any case, there’s a lot of overlap between the three phones, so instead of detailing them one by one, I’ll highlight the ways they differ from one another. The most apparent difference between the three phones is that they, well, look different, and nowhere is that more apparent than with the peculiar mishmash of notches on display with G7 Play, G7 Power and G7. The G7 Play and G7 Power feature iPhone X-style display cutouts, while the G7 is the lone phone with a teardrop-shaped notch. 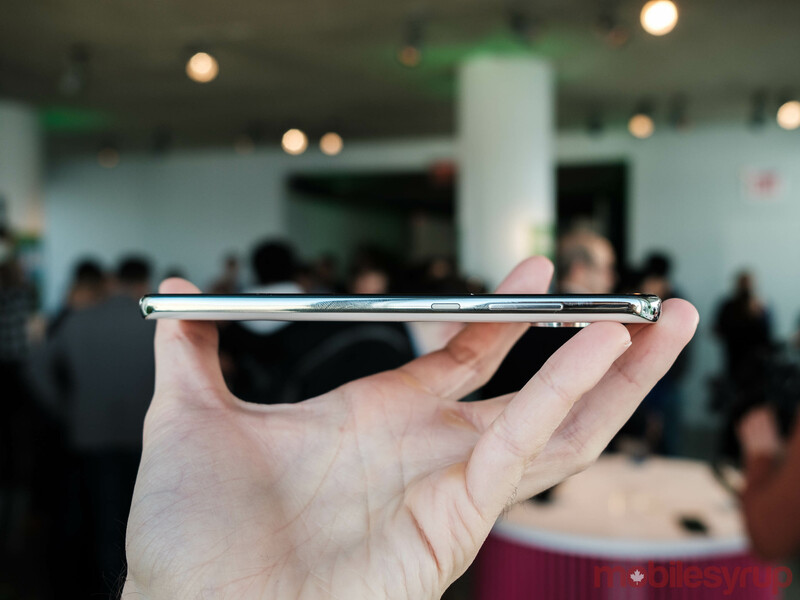 Moreover, of the two more affordable models, the G7 Play features the widest cutout. 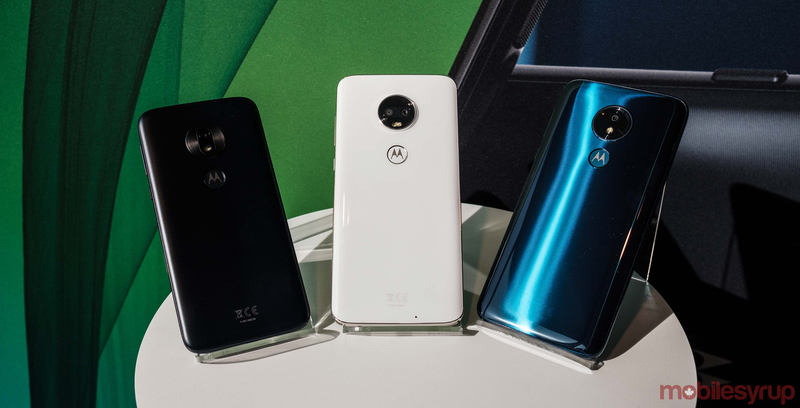 If all of that seems maddeningly inconsistent, it is, but it turns out Motorola wasn’t out to frustrate notch adverse consumers with its design choices. In speaking with a company spokesperson on February 6th, I was told the notch design has to do a lot with cost. Essentially, it’s more expensive to build a smartphone with a teardrop-shaped notch than it is one with an iPhone X-style cutout because the former entails, among other things, building the top speaker into the seam between the top of the display and the frame. In other words, when it comes to smartphone display notches, you get what you pay for, and so the most expensive of Motorola’s new phones features the most elegant cutout. If you look at photos of the phones, you’ll notice that headphone jack placement is similarly inconsistent; the G7 Play and G7 Power feature top facing jacks, while the G7’s headphone jack is located along its bottom. I was told this was a compromise Motorola had to make so that it could even fit headphone jacks into the G7 Play and G7 Power. Each phone also features a different finish. I want to highlight here the G7, and in particular the ‘Clear White’ model. The G7 looks and feels almost every bit as premium as the iPhone XS, which is an incredible accomplishment when one considers that the G7 will likely cost close to $1000 CAD less than Apple’s latest flagship. That said, even the G7 Play, with its LG G7 One-like plastic finish, feels solid. In fact, if there’s a through-line with Motorola’s newest smartphones it’s that they don’t look or feel like entry and mid-range smartphones. That’s a theme that continues with each phone’s display. Each of the devices features a slightly different display. The G7 Play includes a 5.7-inch screen with 720p pixel resolution, while the Power has a 6.2-inch 1280 x 720 pixel resolution screen. Similarly, the G7 has a 6.2-inch screen but it displays at 1080p. Aesthetically speaking, this is the most significant difference between the G6 family and G7 family; the G6 and G6 Play had significant display bezels, which the G7 family does not. The Motorola spokesperson I spoke to wouldn’t tell me if the company sourced all the LCD panels for the G7 Play, G7 Power and G7 from the same manufacturer. 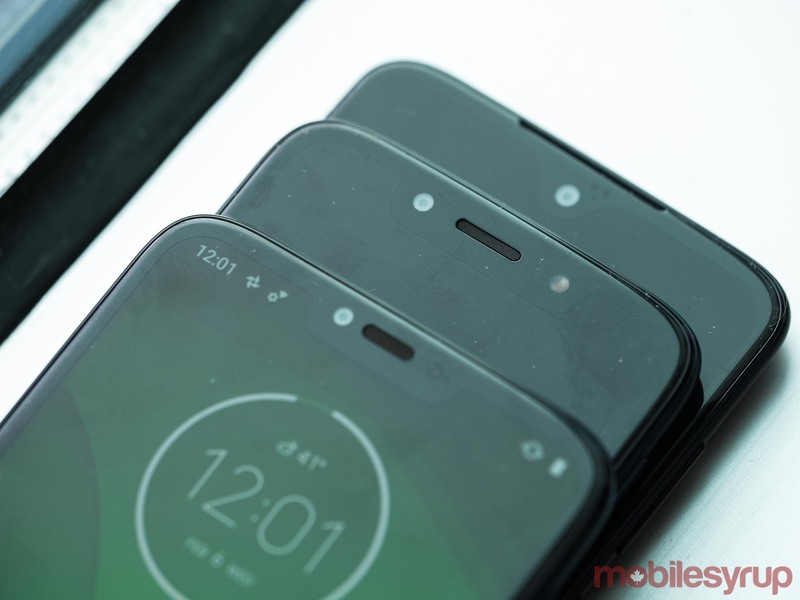 However, whatever the source of the screens Motorola sourced to make this year’s G7 series, the company did a good job ensuring they all look consistent with one another. Whether it was the G7 Play, G7 Power or G7, all three phones had high-quality LCD panels that produced vibrant but accurate colours. Moreover, even the 720p panels on the G7 Play and Power looked sharp to my eye. Again, I want to emphasize that these phones don’t look the part of a cheap device. Internally, all three phones feature Qualcomm’s Snapdragon 632 chipset. Where they differ in terms of performance is that they each have different amounts of RAM at their disposal. The G7 Play features a modest 2GB of RAM. The G7 Power, meanwhile, includes 3GB of RAM. Lastly, the G7 has 4GB of RAM. In use, I found there was a negligible difference between how the three phones performed. Even without any apps installed, not even the G7 or G7 Play felt fast per se. By no means were any of the three phones sluggish, but there’s a noticeable difference between the type of performance the 632 is capable of delivering and what Qualcomm’s more high-end chipsets can do. If there’s an area where the G7 series feels like it doesn’t surpass other phones in its price class, it’s in the performance department. That said, the consumers Motorola is targeting with the G7 family won’t mind — or, for that matter, notice — the less than fluid way in which the phones go about tasks. Moreover, the 632 is still a significant upgrade over the 400 series chipsets that powered the G6 Series. Internally, another difference between the three phones is that the G7 Play and G7 feature 3,000mAh batteries, while the G7 Power has a 5,000 power source. Motorola claims that the Power’s battery can function the phone through three days of continuous use on a single charge. The last major area where the phones differ is in terms of their camera specs. Again each phone features a slightly different main camera with the G7 including the most advanced camera of the three. Moreover, the G7 is the only one of the three phones to feature a dual rear camera array. 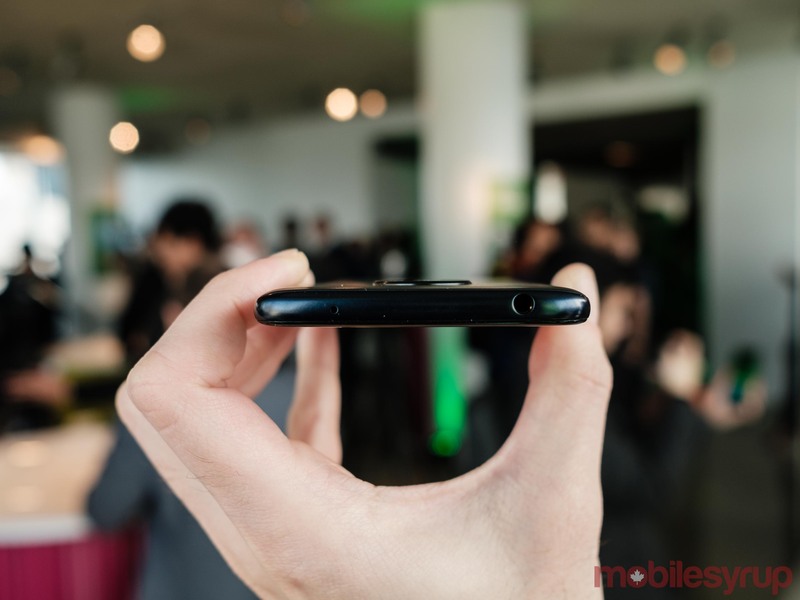 It also has certain exclusive capture modes, including Cinemagraph, a mode that makes its way over from Motorola’s more expensive Z-series lineup. As is the case with most hands-on events, it was difficult to make any definitive judgments about camera quality. One thing that did stand out is that the G7 Play and Power took great portrait shots, even without the help of a secondary depth-sensing camera. I also noticed that all three phones did a great job of preserving highlight detail while exposing shadows as best as they could. Moreover, all three cameras were quick to launch and the shutter on each was responsive. On the software front, all three handsets will ship with Android 9 Pie out of the box. They all also feature Motorola’s excellent ‘Actions’ and ‘Display’ customizations. 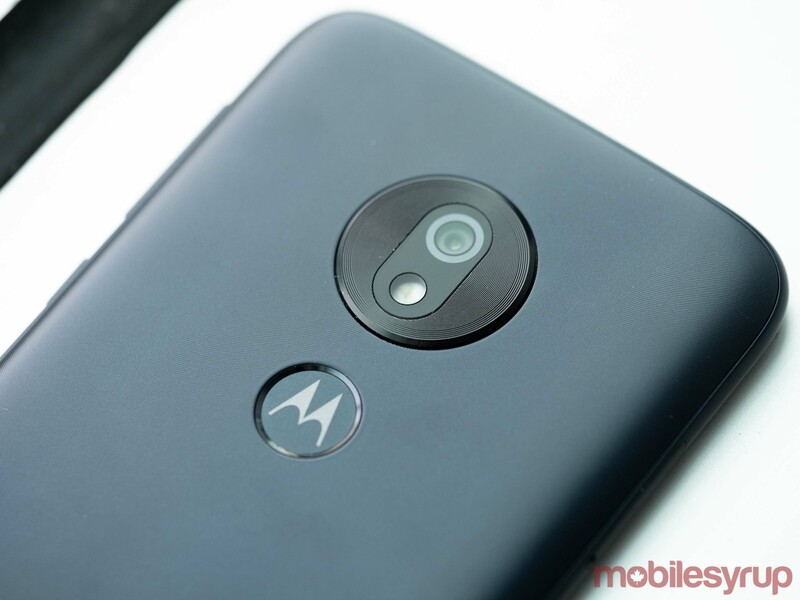 In the U.S., the Moto G7 Play, G7 Power and G7 will cost $199 USD, $249 USD and $299 USD, respectively. There is no word yet on Canadian pricing. MobileSyrup will update this article once that information becomes available. 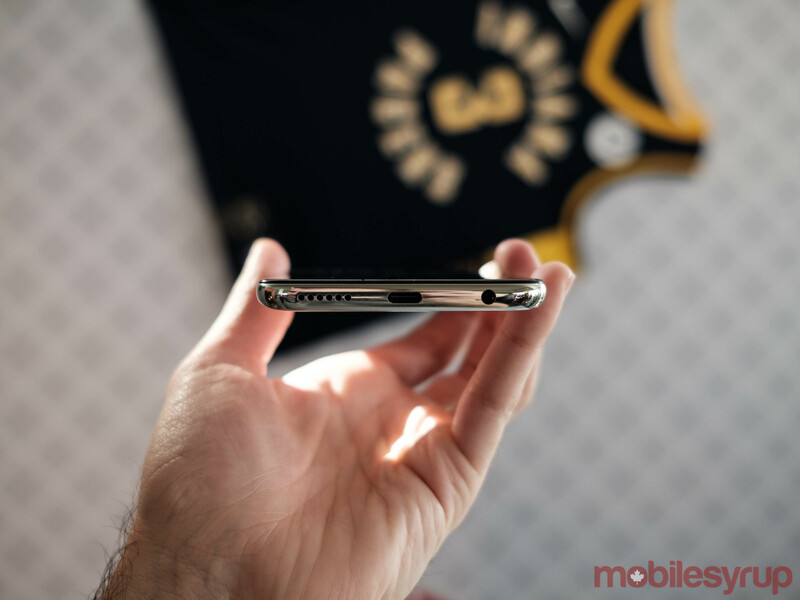 However, the company did confirm that Bell, Virgin Mobile, Videotron, Rogers, Fido and Freedom Mobile will all carry members of the G7 family. We’ll have more on the entire G7 family in the coming weeks.